The NHS regulations limit what treatment can be done on certain teeth. 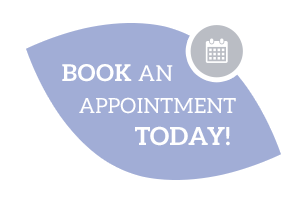 This means that, although certain teeth can be filled with white fillings, with some cavities, particularly holes in back teeth, we can only offer to fill with amalgam (silver coloured) fillings. Although there is mercury in dental amalgam, once it is compounded with the other materials in the amalgam filling its chemical nature is changed, rendering it harmless. 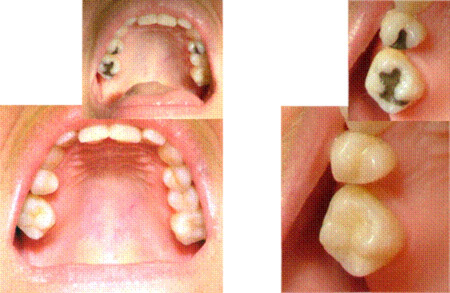 The photos shown are actual before and after clinical photos of a patient treated at the practice. These are indicative of the results that can be achieved by replacing amalgam fillings. Why does the NHS not provide white fillings for all teeth? The materials used for the white fillings are more expensive than those for silver fillings. The materials require more careful and skilled handling than with silver fillings. This means that your dentist will have to spend longer carrying out the treatment, which increases the price of the treatment. Despite improvements in recent years, white fillings may not last quite as long as a silver equivalent. To offer a more aesthetically pleasing alternative to amalgam (silver) fillings. To replace existing amalgam (silver) fillings. To give a more cosmetic white filling for front teeth than can otherwise be provided via NHS treatment. Should I have all of my silver fillings replaced? The time taken to replace multiple silver fillings will be quite extensive. This may mean a long time sitting in the chair and an expensive course of treatment in one go. When fillings are in place, the mercury is locked into the alloy of the fillings. The time when most mercury is free is when they are first placed, and when they are removed. This means unnecessary removal is more likely to cause problems then leaving the fillings in place. An alternative would be to consider replacing your fillings with white fillings as and when they need replacing, or replacing a few at a time. How well will my new white fillings match? When white fillings are placed, the shade of filling material used will be matched as closely as possible to the shade of your natural teeth. 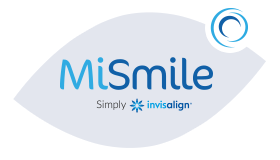 This means that a filling may be visible on close examination, but will appear almost invisible in normal day-to-day life. Obviously a smaller filling will be harder to see than a large filling. Are there any other alternatives to white fillings? There alternative methods of placing tooth coloured restoration on back teeth, such as crowns or inlays which can be much stronger than fillings, however these come with their own disadvantages. These more costly restorations have to be built in a lab, taking typically 2 weeks during which time the patient is fitted with a temporary restoration. An alternative is available in a single session using CEREC ceramic restoration, but this technique is more costly again. Each of these alternatives may require removal of more healthy tooth. Your dentist will be able to tell you what alternatives are best for you.